Absorbing national history into crafted play with characteristic ingenuity, Shakespeare exposes the idiosyncratic quality of historical construction. 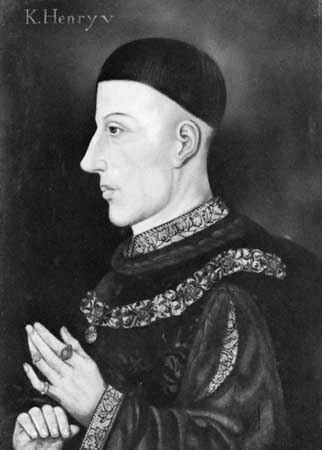 To substantiate the narrative bulk of 1 King Henry IV, Shakespeare used the Holinshed Chronicles, an ambitious record of English history published in the late sixteenth century. Departing from the Chronicle’s narrowed occupation with succession, war and insurrection — cue Marx: “the ideas of the ruling class are in every epoch the ruling ideas” — the play includes a distinctive breadth that initiates an interrogation of the historical subject. This entry was posted in category-in-waiting and tagged Henry IV, History, shakespeare, truth on July 22, 2015 by . 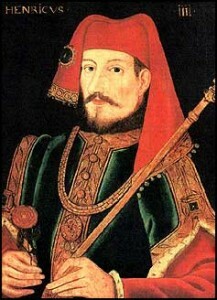 A Portrait of King Henry IV. To what extent can we ascertain the real man through Shakespeare’s play? This entry was posted in Scholarly Criticism and tagged Criticism, History, I Henry IV, Narrative, theory on July 22, 2015 by . Who is King Henry IV of England? As a lover of European history, I assumed I would know something about him. But I didn’t. I knew absolutely nothing. In fact, I only am familiar with his name because of his presence as the stabilizing protagonist and namesake of two of Shakespeare’s plays, Henry IV, Part 1 and Henry IV, Part 2. This entry was posted in Images and Figures and tagged 1 Henry IV, Henry IV, Henry V, History, Kings, rebellion, Usurper on July 21, 2015 by . This entry was posted in Performance and tagged Elizabethan, Henry IV, History, shakespeare on July 21, 2015 by . Hath not a Jew banks? The Rothschild family has been recently highlighted in the media due to the very recent nuptials of young James Rothschild to Nicky Hilton, “hotel heiress” daughter to the famous Hilton family, and sister to the infamous reality star and socialite Paris Hilton. The two were married this past weekend on July 10th. Although Hilton is likely a more familiar name to many Americans (or at least associated with more notoriety), the Rothschild family has a history much longer and a fortune much grander than the Hiltons’. This entry was posted in category-in-waiting, Images and Figures and tagged Banking, Finance, History, judaism, Merchant of Venice, Rothschild, shylock on July 14, 2015 by .